Is a brain dead patient considered dead? The question of whether brain death is defined as death is highly debated in the Halachic world, and religious circles, and carried ramifications of several Halachic issues, such as removing the patient from life support, and organ transplants. The following is an analysis on the subject and the various positions of the Poskim. Definition and background: Brain death is the complete cessation of all brain function. It is caused due to extreme trauma or injury to the brain, which blocks the body’s blood/oxygen supply to the brain, and as a result the cells of the brain die. Once the brain is dead, its status is irreversible, and the brain can never again become function-able. Brain death, unlike a coma or vegetative state, causes many of the vital brain-dependent organs to stop, including the lungs. Nevertheless, the function of the heart is independent of the brain and so long as it receives a supply of oxygen, it will continue to function. Prior to the discovery of life support and intubation, one who suffered brain death would also have his heart stop, due to the cease of oxygen supply from his lungs. However, with the discovery and use of life support intubation, it is possible to artificially pump oxygen into the lungs, and thus allow for the continuous function of the heart. This new reality entered both the medical and Rabbinical world into a great debate as to the life/death status of a person who is brain dead, but his heart is pumping due to artificial supply of oxygen. Is the brain the definition of life, and hence one who is brain dead is considered dead irrelevant of his heart’s function, or is life determined by the heart’s function and he is hence still considered alive? 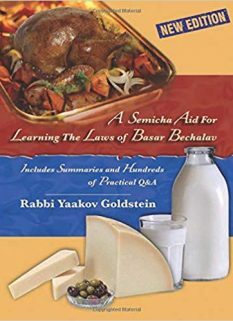 Now, while it is clear that according to Halacha that the determining factor of life is one’s ability to breathe and not necessarily one’s pulse, nevertheless, it is questionable as to whether this breath must be natural or it suffices even for it to be artificial, so long as he is breathing. Practically, in the secular world it became accepted that a person who is brain dead is deemed dead for all medical and legal purposes and he may be removed from life-support by the hospital. In most states, this may be done even against the will of the family. 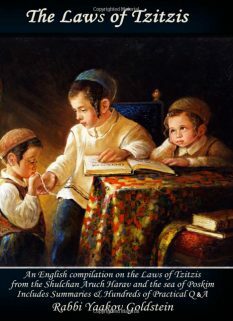 However, in Halacha the issue still remains a great matter of debate, which touches on various serious Halachic issues when caring for a loved one, such as removal from life support, or allowing organ transplants. The ruling: Some Poskim rule that one who is 100% brain dead is considered dead, as it is impossible for him to breathe on his own. Accordingly, one would not be allowed to desecrate Shabbos on his behalf and it would be permitted to remove him from life support [i.e. “pull the plug”]. 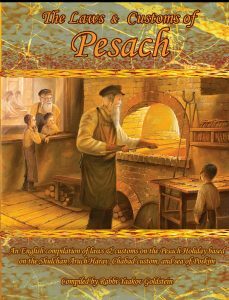 Majority of Poskim, however, rule that he is considered alive and one may hence desecrate Shabbos on his behalf. It would likewise possibly be considered murder to remove such a person from life support, as explained in Halacha G. Another ramification between the two approaches is regarding organ transplants, which generally take place on brain dead patients, as explained in Halacha F. Practically, a Rav who is expert in the medical field is to be contacted, although in general, the approach of Chareidi Jewry is to be stringent and consider the person as alive, while the approach of modern orthodoxy is to be lenient. Determining brain death: One of the major issues involved in determining death based on cessation of brain function is the ability to diagnose without any doubt that brain function has in truth completely ceased. Practically, there are many methods doctors use to determine brain death, primarily being the inability of the patient to breathe on his own. This can be determined through removing the respirator from the person and monitoring breathing movement. At times a patient can mildly breath on his own, but not enough to live. Such a person is not brain dead. The question of organ donation is highly debated amongst Rabbanim and religious circles. It’s question touches upon several Halachic prohibitions, which vary based on the state of the patient whose organ is being used. Obviously, no individual is to make a decision in such serious matters, and sign on an organ donor card, without first discussing it with a Rav who is an expert in this field. 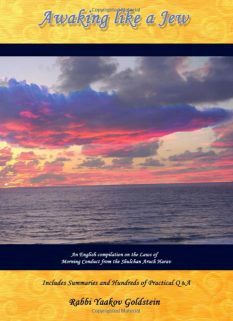 Case 2: Organ donation after the death of the patient: In general, it is forbidden to remove organs from the deceased and store it in an organ bank for eventual use in a living person, just as one may not perform an autopsy for purposes of medical science, as explained in the previous Halacha. Nevertheless, regarding certain parts of the body, there are Poskim who are lenient to permit organ transplants even if the matter is not life threatening. If another Jew is currently in need of an organ transplant to save his life, some Poskim rule it is permitted to use the limb of a deceased to perform the transplant on this Jew. Other Poskim, however, prohibit organ donation from a deceased even to help save the life of a Jew with a life-threatening condition. Case 3: Brain dead patient: Whether one may remove an organ from a person who is 100% brain dead is dependent on the dispute amongst the Poskim in whether one who is 100% brain dead is considered dead or not, as explained in E. According to the lenient opinion there, it would be permitted to perform organ transplants from 100% braindead patients. However, according to the stringent opinion there, it would be absolutely forbidden to do so, and one who does so is considered a murderer. According to all, it is absolutely forbidden to perform organ transplants from patients who are in a coma or vegetative state, and are not brain dead. Practically, the Poskim conclude that it is forbidden to perform an organ transplant from a Jewish braindead patient, and thus in Eretz Yisrael, it is forbidden for one to sign up for such transplants. However, it is permitted for a Jew to receive an organ transplant in the diaspora, where the limb is taken from a gentile. 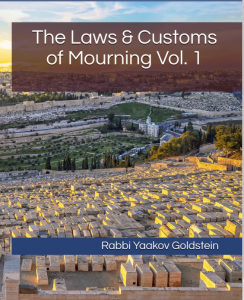 Whether one may remove a person from life support, thus causing his imminent passing, is obviously one of the heaviest moral and halachic questions that a person can face. Its ruling is dependent on several factors already discussed in the previous Halachos, which include the medical state of the patient, as well as the approach one follows in Poskim regarding the definition of Goses and brain death. One thing is clear, a person who is not in a state of Gesisa [near death], does not have proven brain death, and has possible medical recovery, is absolutely prohibited from being removed from the ventilating machine. Thus, one who enters the ICU with lung failure due to a trauma injury [i.e. accident], or due to consuming poison, must be attached to a ventilator to help him breath, and may not have it removed unless several days pass without improvement, and brain death has been established, in which case it is subject to the debate explained next. Likewise, one who is in a coma, or deemed a vegetable, may not be removed from life support. We will now discuss the Halacha regarding removing the ventilator from one who is brain dead. Cases of brain death: Some Poskim rule that if the patient is 100% brain dead then the person is considered Halachically dead [as explained in E] and life support may be removed. [If, however, he is not deemed to be 100% brain dead, then it is forbidden to remove the machines even according to this opinion, and it is considered murder to do so.] Majority of Poskim, however, rule that brain death [even 100%] does not deem a person as dead, as explained in E, and the patient is only deemed dead when his pulse ceases. [Accordingly, it would seem that it is forbidden to ever remove a person from life support and doing so would be tantamount to murder. Certainly, it would be forbidden to remove a Goses from life-support.] Nonetheless, some Poskim rule that even if we accept a brain-dead patient as still being alive, nevertheless, it is permitted, and possibly even obligatory, to remove him from life support due to him having the status of Goses, in which one may remove an item that is refraining him from passing away. According to all opinions, so long as complete brain death, or status of Goses, has not been fully determined, it is forbidden to remove the patient from life-support and doing so is tantamount to murder. Practical advice-Attaching the life support to a timer: Some Poskim suggest that a permitted, and most Mehadrin, method of circumventing the above question of whether the respirator may be removed, is to initially [when the patient is first connected to it] attach the respirator to a timer and if it is determined that the person is fully brain dead, then one is simply not to attach him back to life support when the time expires, and it is even forbidden to do so. This avoids the question of murder according to the stringent understanding above, as one is simply not doing an action to help him continue to live [which in any event we do not do for a Goses], as opposed to actively shortening his life, which is forbidden even for a Goses. Not attaching a patient to life-support: As stated in the next Halacha regarding DNI, a patient who is suffering from a terminal illness and is in constant pain due to it, may have a DNI form signed and is hence not to be attached to life support. See the next Halacha for details in this matter. Brain death versus a coma or vegetative state: Brain death is very different than a state of coma or vegetative state. A coma or vegetative state simply means the person is unconscious, asleep like, and cannot be awakened. However, the brain, as well as various of the brain dependent organs such as the lungs, still function without artificial help. Likewise, the state of the coma is reversible, and the person can one day wake up and live a healthy life. Brain death, however, is a dead brain that has no function, is irreversible, and causes brain-dependent organs to stop functioning. The three most vital organs on which human life is dependent is undoubtably the brain, the lungs and heart. For a person to live there needs to be a constant supply of oxygen to the cells of the body. All three of the above organs place a vital role in this supply. The function of the brain, amongst other functions, is to pump the lung. The function of the lungs is to breath the oxygen into the body. The function of the heart is to spread the oxygen, glucose, and water throughout one’s body. The brain/lung function is called respiratory while the heart function is called circulatory. In the USA, this is called the Uniform Determination of Death Act (UDDA), which was passed in 1981, which gives two classes for the definition of death, one based on cessation of the respiratory function, and the second being the cessation of both the respiratory and circulatory function. This Act was based on the Harvard criteria, which was a study published by the Harvard medical school in 1968 to determine brain death as actual death. See http:::www.braindeath.org:law.htm for the law in your state. Most [if not all] states give medical personal the sole power of determining whether to remove the person from life support, after determining legal death due to 100% brain death. For example, the state of Texas may remove a patient from life support after determining brain death despite protests from the next of kin. However, the state of New Jersey, requires the medical personal to notify the family in case of brain death and respect their decision, whether to remove the patient from life-support or have him remain. If, however, there is a cessation of both the respiratory and circulatory functions, then he is determined dead irrelevant of the families wishes. Igros Moshe Y.D. 3:132; 8:54 “The doctors accepted the Halachic position of death, which is the Harvard criteria”; See Tzitz Eliezer 13:89 based on Chasam Sofer that brain-death is defined as death, in contradiction to his other responses in 10:25; For an in depth analysis as to the true opinion of the Igros Moshe-see the above journal; The Rabbanut Hareishit in 1986, under the council of Rav Mordechai Eliyahu, Rav Shapiro, Rav Zalman Nechemia Goldberg and leading physicians in the Machon Shlezinger institute of Shaareiy Tzedek, have accepted this approach. See the above journal for further discussions they had with the above Rabbanim and if any retracted their rulings. The reason: As we rule in Halacha that we follow the breath for determination of life [See, and not the pulse of the heart, and hence if he can no longer breathe on his own, he is considered dead even if his heart still beats. [Igros Moshe ibid] One who is brain dead is considered as if his head is removed from his body, as the brain completely rots. [Igros Moshe 8:54] See also Chasam Sofer Y.D. 338 for a Teshuvah that supports this stance. The reason: As in actuality he is still breathing, and his heart works. It is thus not similar to the case of the Gemara in which case his breathing has stopped and cannot be returned. Alternatively, even the beating of the heart is a sign of life, as implied from Rashi ibid and Chasam Sofer. Alternatively, the reason is because it is not possible to determine 100% brain death. See Har Tzevi Y.D. 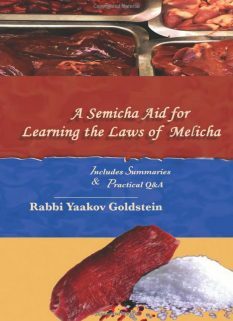 276; Shevet Miyehuda p. 314 of Rav Unterman [says the limb is considered alive when transplanted]; Seridei Eish 2:120; Yabia Omer Y.D 3:22-23; Other Poskim however prohibit this: See Minchas Yitzchak 5:8; Tzitz Eliezer 13:91; Shevet Halevi 1:211; Rav SZ”A in Nishmas Avraham ibid; See Darkei Chesed 10:5 that all Gedolei Yisrael have protested the removal of the eye for the sake of a corneal transplant to help save the eyesight of an individual “as there is no greater desecration of the dead than this” and it is forbidden to benefit from the dead. Igros Moshe Y.D. 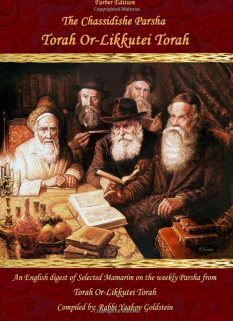 3:132; 8:54; For an in depth analysis as to the true opinion of the Igros Moshe-see the above journal; The Rabbanut Hareishit in 1986, under the council of Rav Mordechai Eliyahu, Rav Shapiro, Rav Zalman Nechmia Goldberg and leading physicians in the Machon Shlezinger institute of Shaareuy Tzedek, have accepted this approach. See the above journal for further discussions they had with the above Rabbanim and if any retracted their rulings.